1 review has been written for Tripadvisor.co.uk yet. Tripadvisor is very handy to find reviews and ratings on unknown places like restaurants. But far too many businesses have a lot of very good ratings, which does not reflect our own experience. Be careful with it. 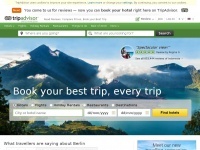 10,324 links pointing to Tripadvisor.co.uk were found. The most used keywords in text links are TripAdvisor, Trip Advisor and Click here to. Individual words like Trip, Advisor, House and Guest are frequently used in text links from other websites. The most important links to the website are from Scoresonthedoors.org.uk and Buckmore4kids.co.uk. The homepage of Tripadvisor.co.uk and the subsite /Attraction_Review-g1093682-d4012180-Reviews-Epic_Fishing_Trips-New_Quay_Ceredigion_Wales.html are most referenced by other websites. The table shows the most important links to Tripadvisor.co.uk. The table is sorted in descending order by importance. 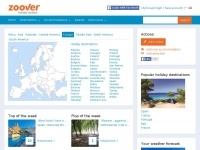 The table shows websites of Tripadvisor.co.uk, which are often linked by other websites and therefore they are classified as important content. 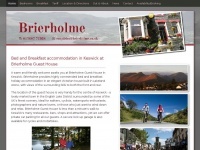 Bandbreview.co.uk - Bed & Breakfast Re­view – The Site For The Best Bed & ..
Brierholme.co.uk - Brier­hol­me - Kes­wick Bed and Breakfast Kes­wick Guest ..
Zoover.co.uk - Holi­day Re­views | Ho­tel Re­views | Campsites | ..